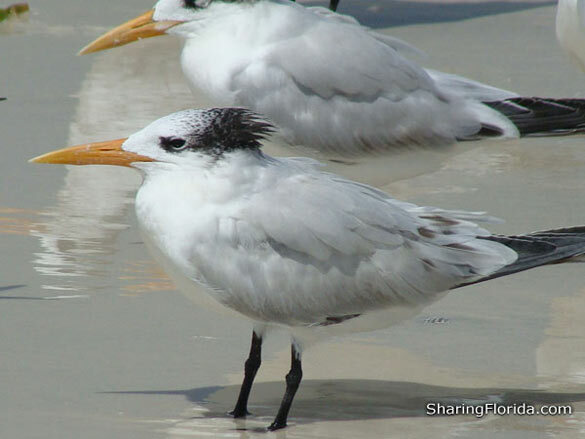 This is a bird commonly seen on the beach in Florida. These photos were taken at Anna Maria Island on the beach. This is a bird commonly seen on the beach in Florida. These photos were taken at Anna Maria Island on the beach. 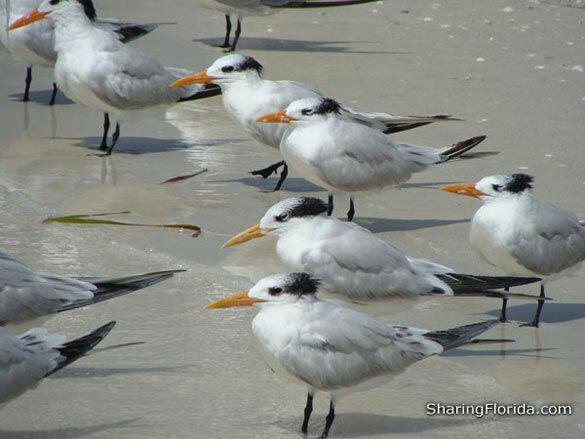 The Royal Tern is not exclusive to Florida. Other US states in which this bird can be seen: Texas, Louisiana, Georgia, South Carolina, North Carolina, Alabama. This is a beach bird. Features: Black legs, yellow/orange beak, gray and white body and spiked crest and cap.